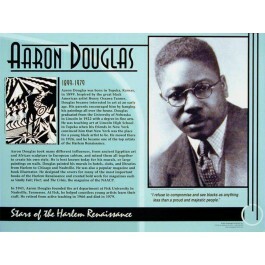 This educational poster features a large photo image and biographical text of the great African American artist Aaron Douglas. The poster also shows one of his representative works of art, as well as a quote that says: "I refuse to compromise and see blacks as anything less than a proud and majestic people." 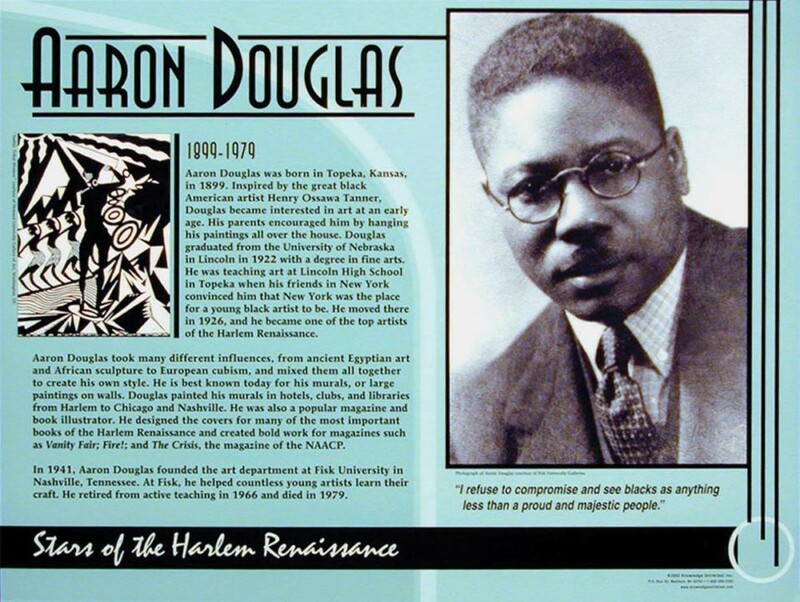 Aaron Douglas moved to new york City in 1926, where he became one of the top artists of the Harlem Renaissance. But his importance has been felt well beyond that. In 1941 he founded the art department at Fisk University where he helped countless young artists learn their craft. This poster is a great way to introduce students to one of the most influential artists of the Harlem Renaissance.